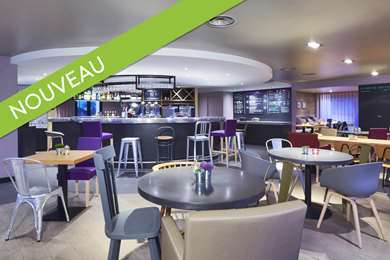 Hotel Kyriad Nice Gare is located in the city center 200 yards from the Nice Thiers SNCF train station and 10 yards from the tramway station, giving you easy access to all the points of interest in the city. For your recreation, our 3-star hotel in Nice is 3 tram stops from the beach, Place Masséna, Old Nice and the Promenade des Anglais. It is also a short walk from the Chagall and Matisse museums, the Cimiez arenas and the Russian Church. For your business trips, in just 5 tramway stops you will arrive at the Nice Acropolis Convention Center. 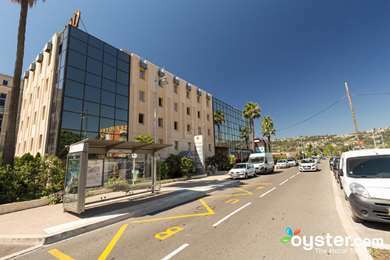 Also, our 3-star hotel is located on the corner of the main street in Nice with its shopping center, banks, exchange offices, boutiques, etc. The reception at Hotel Kyriad Nice Gare is open 24 hours a day. We can greet you in several languages: English, German, Italian, Spanish and Russian. You can also use the public paid parking lot 200 yards from the hotel, at preferential rates. The hotel has 76 rooms (single beds, double beds, two single beds or triples), including 4 specially adapted rooms for people with reduced mobility, with bath or shower. All rooms are air conditioned, soundproofed, and come with high-quality bedding, a hair dryer, satellite, direct telephone and LCD screen. You will be able to relax at leisure or get your work done easily, thanks to your direct line phone and free Wi-Fi access. With all this comfort, you'll never want to leave. From 6:30 am to 10:00 am, the hotel proposes a tasty breakfast served as a buffet to start your day off right. Our breakfast room has a hot and cold buffet with a separate room for groups, if needed, and an outdoor terrace. "Very good 3 star hotel"
"Great location to city centre." 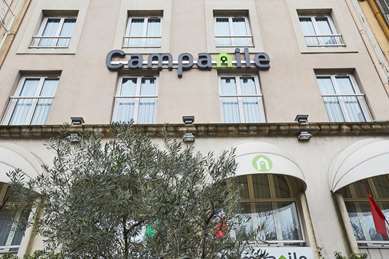 "Decent 3*hotel near Nice Gare"